There’s nothing too puzzling about why Nintendo continues to produce a range of Super Mario games, but its latest title Mario and Donkey Kong: Minis on the Move for the 3DS should get your brain ticking over. 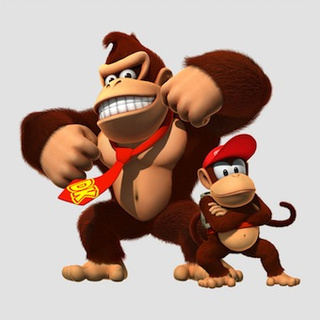 This puzzle title sees the ever popular hero joined by Donkey Kong, as well as a number of other characters from The Mushroom Kingdom. The aim of the single-player title is to help a windup miniature version of the characters to navigate their way safely through what’s ahead of them. The minis are constantly ‘on the move’ and you aren’t given any control of them- so your challenge is to make changes to the path ahead in order to ensure they stay safe and reach the end star. In Mario’s Main Event, you’ll need to pick up as many as three Mario stars. The challenges thrown at you become increasingly difficult as you progress through the game’s 180 levels, although most are simple enough to ensure people of all ages will enjoy playing. Mario and Donkey Kong: Minis on the Move is likely to be a popular choice for gamers wanting to drop in and play when they find themselves with a few spare minutes during the day as it’s pretty easy to pick it up, complete a challenge and then come back to it later. But the gameplay – and the various modes available – mean it’s addictive enough to make it likely you’ll not want to put it down. Visually, Mario and Donkey Kong: Minis on the Move is pleasing enough with the bottom screen of the Nintendo 3DS being used for game play and appearing in 2D, while the top provides a 3D representation of the puzzle. Players can even get creative by taking advantage of the level editor. They can share creations with friends or even choose to download puzzles made by others, which should ensure there’s a steady stream of new stuff appearing down the line. This aspect is perhaps one of the best things about the game and something Nintendo will hopefully introduce to other titles. There are mini-games to enjoy too so there’s a good number of reasons to keep coming back to the title.